Subtle texture lends visual and tactile interest in the Emilio Collection. 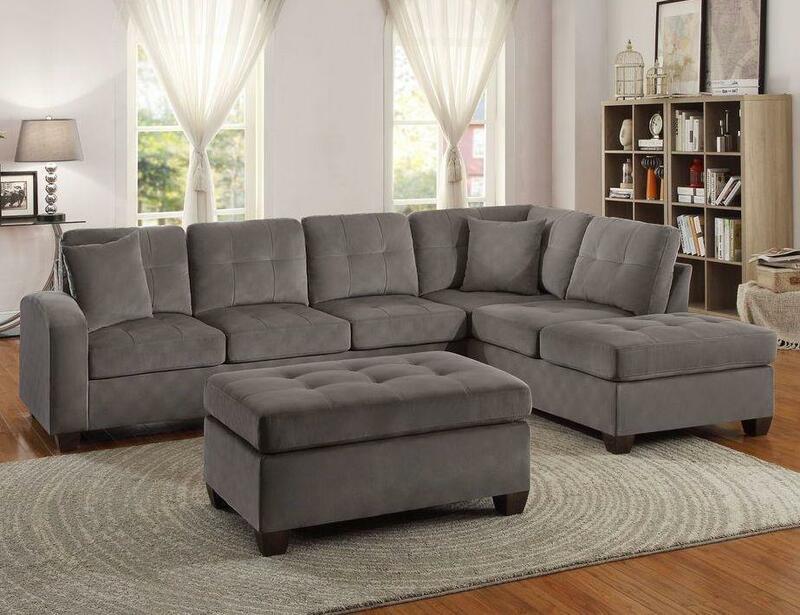 The set-up process allows you to configure the three-seat unit to accommodate the chaise on either the left or right side, providing for perfect placement within your living space. The accompanying ottoman can be an added comfort to put feet up when relaxing. The collection is offered in either taupe or chocolate, furthering the versatility of the sectional seating group. 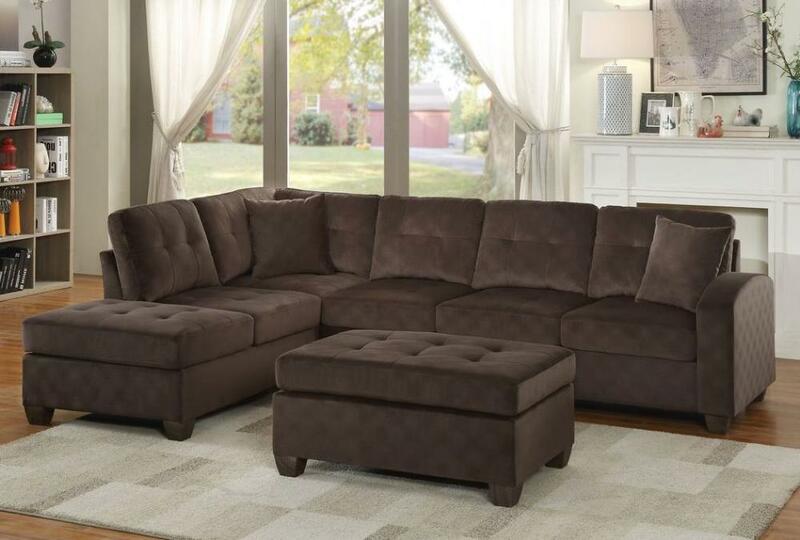 FEATURES: Taupe / Chocolate Color ~ Casual Style ~ 100% Polyester Fabric Cover ~ Button Tufting Accents ~ Configurable To Needs.